Is Your Home Value Secure? 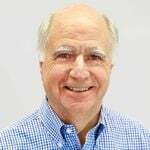 As a person that believes in home ownership, not only for my own place to live but also as a property owner of rental homes the long-term value of homes is very important to me. 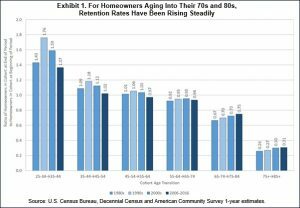 That is why when Fannie Mae put out a report titled “The Coming Exodus of Older Homeowners” http://www.fanniemae.com/portal/research-insights/perspectives/older-homeowner-exodus-myers-simmons-071118.html I was interested in reading it. 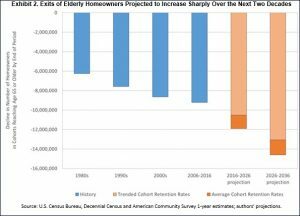 To predict how home ownership will be affected by the Boomer Generation aging they studied what has happened over the past as generations age. See chart. As all Boomers know (slight over generalization), how other generations acted is not necessarily how we will age. 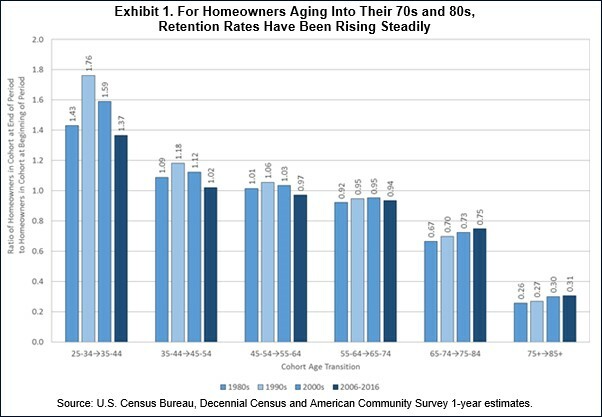 But the point is still there, as Boomers age out of home ownership, who will want to buy their homes? The jest of the report is that the 2008 housing bubble burst mixed with the ethnic diversity background of our population over then next few decades will change the demand for suburban and rural housing. 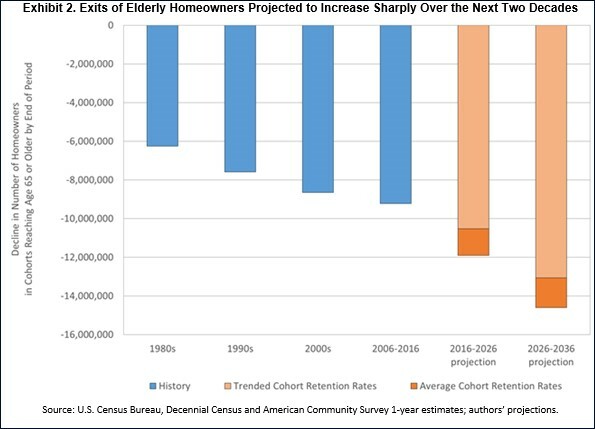 The large expensive suburban homes owned by Boomers will not be in high demand by Millennials, which is the only generation that has the number of households to replace the Boomers. What does this mean to you? 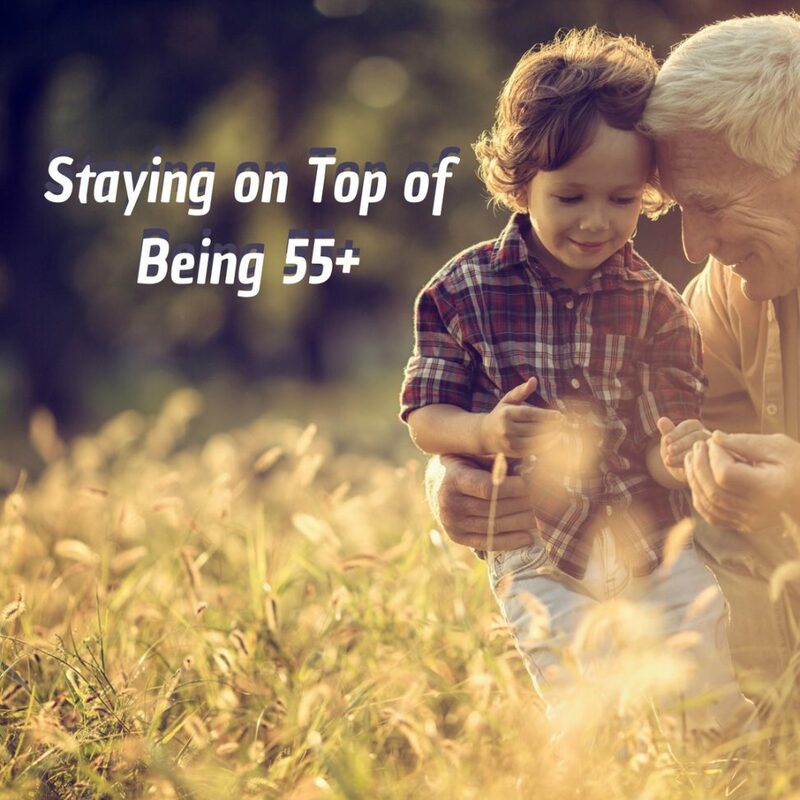 If you own a home in Suburban area but plan on downsizing, and or moving “closer in” to medical services, family and walking distances to entertainment and activity, you should consider timing. Prices for your home may go up, but you will only know they have peaked after the market turns down.